Welcome back to the Modern Spools Sew Along! I love the prints on these blocks... 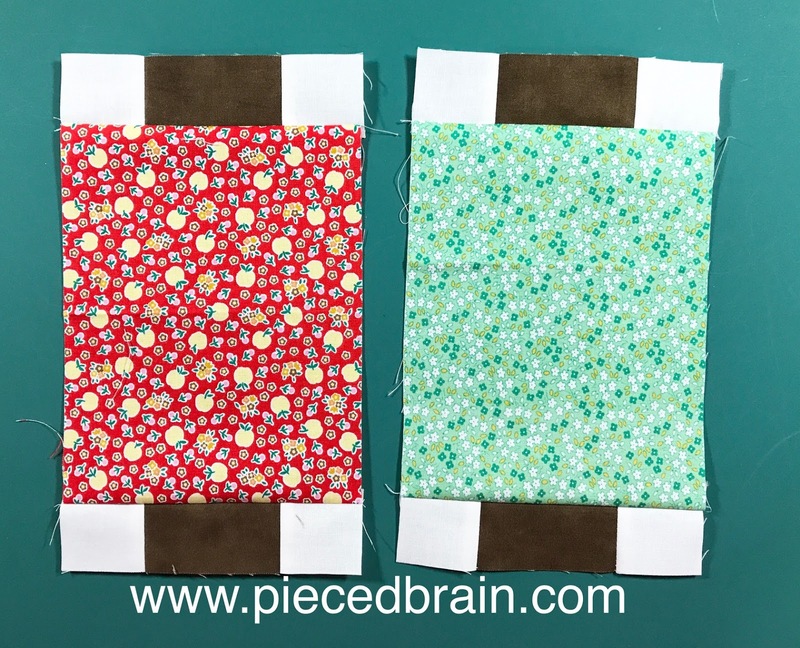 The fabric line is called Apple Farm by Penny Rose Fabrics. The funny thing is when I began quilting eons ago I did not like 1930s fabrics at all. Over ten years went by before I even owned a fat quarter that even resembled them. Now I am totally in love. In fact, my taste for fabrics has not changed but has improved dramatically to include all sorts of themes, traditional or modern, light or dark, you name it. You can say I am totally addicted to every type of fabric. Ai ai ai... no cure in sight. How are your blocks coming along? Stay tuned for my next applique' one!